Finance Ideas 4u: Cash Emergency! What To Do When You Need Money Fast! Cash Emergency! What To Do When You Need Money Fast! It happens to everyone from time to time. Everything's going just fine then BOOM! Something happens that throws everything into chaos and leaves you out of pocket. It could be anything: a break-up, an accident, a lost job. Whatever it is, the results are usually the same. Suddenly you're in a position where you need to come up with some money that you don't currently have, and you don't long to do it. It can be a seriously terrifying prospect and can make an already difficult situation a thousand times more unpleasant. But don't worry! There are always things that you can do; you've just got to think a little bit creatively. Here are a few things that you can do when you're in desperate need of some extra cash. Be honest with yourself, are you ever really going to listen to your CD's again? Now that everything's digital there's no reason not to sell your CD collection in order to raise some funds. The same goes for your books. Ask yourself if you really want to read War and Peace, or if you just like the way that it looks on your shelf. Take this as an opportunity to de-clutter both your home and your life. Your wardrobe is a particularly good place to start. Look at how many clothes you have and ask yourself if you ever actually wear most of them. Places like eBay are a fantastic platform to get rid of stuff you never use while making some extra cash. You'd be genuinely surprised at how much money you can make this way. Plasma is a clear liquid that actually comprises more than half of your blood. And, as it turns out, you can donate your plasma and make a pretty decent amount of money very quickly. And unlike donating blood, you can actually do it pretty frequently, even as often as once or twice a week! Some people are pretty nervous about the idea of taking out a personal loan, but if you're really in a bind, fast loans can be extremely useful. If you're only taking out a small amount or it won't be long before you can pay it back, you don't even have to worry that much about the interest rates. 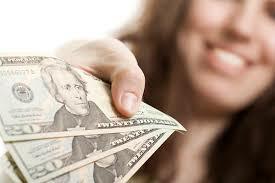 Of course, you should always make sure that you can pay back any money that you borrow before taking out the loan. Gig work involves you offering your services in exchange for money. The services that you offer can be anything, depending on your own personal skill set of course, and you can charge different rates depending on the services that you're providing. There are plenty of apps out there that you can do gig work through and it's a great way to make bits of money here and there through odd jobs.